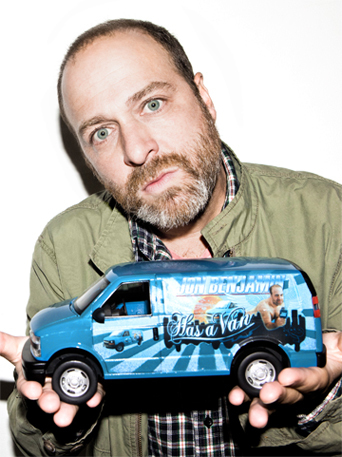 Jon Benjamin Has a Van – Bob Odenkirk guest stars as a cult leader who crosses paths with Jon when Jon does a report on a religious sect that believes as one of its core tenants that Jesus smoked a pipe. Guess who picks up that habit himself, then? Royal Pains – Matt Lauer makes a cameo as Evan gets Hank an appearance on the Today show, without realizing that his bro has a major fear about public speaking. Roseanne’s Nuts – Roseanne‘s pals Phyllis Diller and Sandra Bernhard visit her in Hawaii, and a girls night out leads to a wicked hangover for Roseanne. Damages – In tonight’s installment, titled “We’ll Just Have to Find Another Way to Cut the Balls Off This Thing,” Patty hires a nurse to look after Catherine, while Ellen continues to battle Erickson (John Goodman) in court, which is made so much more difficult when Boorman (Dylan Baker) messes with her witness’ credibility. Rescue Me – Tommy and the gang try to cut reporter Pam Keppler off with a dose of her own medicine, while Sean works up the nerve to talk to Emily about their odor problem. Storage Wars – Yeeeeeep, it’s true: Dave Hester faces his rival bidder at an auction in Mission Hills, California. – Primetime Nightline: Celebrity Secrets (10PM, ABC) covers the impact of being in showbiz on kids, including Rebecca Black and Eden Wood. – Last Call with Carson Daly (1:35AM, NBC): Ben Schwartz (REPEAT).